We have selected a photo from the private collection of photos owned by Gvozden Radenković because the issue of resolving the ultimate fate of Navip, the fallen Serbian winemaking giant, has come in the spotlight in recent days. The story of contemporary Serbian winemaking renaissance cannot be imagined without Gvozden, who originates from a winemaking family in Župa. Gvozden is a winemaker, the owner of Radenković Winery and the President of VIVIS (Association of Serbian winemakers and vinegrowers) who shaped from the very beginning necessary environment for Serbia’s rising wine scene to reach present-day status. He was also a witness of numerous events, both positive and unpleasant, which occurred on the Serbian wine scene. Certainly, Gvozden is a source of valuable information and data about the history of Serbian wine which should be preserved from oblivion. 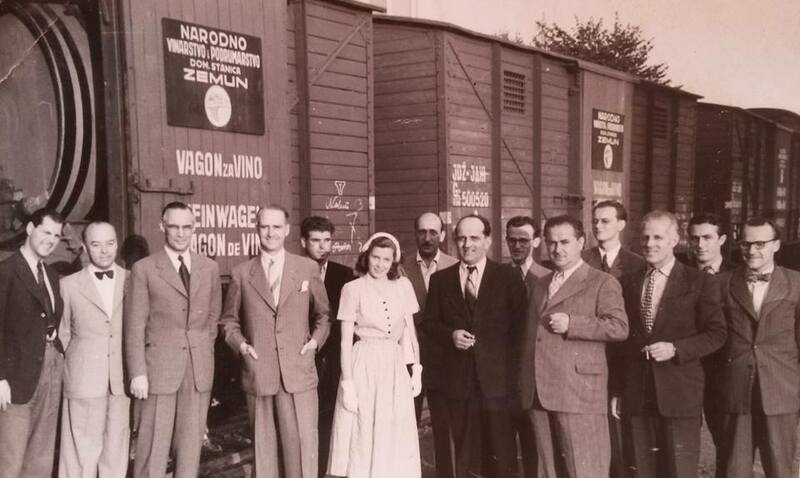 The photo above was made in 1950s, during the visit of a German delegation which came for inspection of loading the first batch of wines from Navip that was exported to the Federal Republic of Germany. Đorđe Radenković, PhD (in the center, wearing a dark suit) was at those times the general manager of Yugoslav Wine Export Assocation, as well as the CEO of Navip. He was among a few professionals who achieved this position solely owing to his professional work and education rather than owing to political party relations (as it was frequently the case in those days). This photograph and memories of Gvozden Radenković testify to the glorious past of Navip company which exported Serbian wines across the globe. In a way, Navip represented the evidence of continuous winemaking tradition in Zemun. Hence the year 1848 presented in the logo of Navip as this was the year when Austrian-born Bruno Mauser established the first wine cellar in Zemun. Navip wine cellar in Zemun still holds a barrel (365 hl) from that period and a reconstructed Mauser’s wine room. During more than 160 years of existence, especially over the last 30 years, Navip has undergone several restructurings, privatization, transformation, unfortunately, always doomed to failure. History remembers that at its peak Navip owned wine cellars in Petrovaradin, Zemun, Krnjevo, Jagodina, Pirot, Vranje and Leskovac, all strategically positioned in major wine regions of Serbia. The total vineyard area exceeds 1,200 hectares. Navip was well-known in former Yugoslavia owing to its brands: Milion, Fruškogorski Biser, Karlovac Riesling, Jagodina Ružica, Ključ Graševina. Unfortunately, we have recently been saddened by the news (source: Večernje Novosti) that on 26th December 2016, the auction for sale of Navip assets will be held. Navip company is in bankruptcy, so it sells part of its property in order to settle debts which rose to 30 million EUR. The wine cellars are still of interest to potential buyers/investors, while 90% of its vineyards are abandoned so potential buyers would have to invest significant funds in their revitalization. 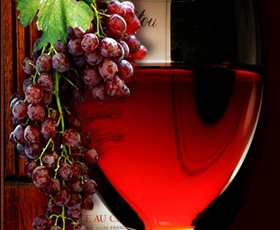 International Consortium of Investigative Journalists has reported extensively about the privatization and collapse of this giant of Serbian winemaking, full coverage of this topic available on the website of Slobodna Evropa (link: http://www.slobodnaevropa.org/a/kako-su-unistavani-navip-fidelinka-i -agrohem / 25124974.html). Unfortunately, Navip became collateral damage of transition in Serbia, where a group of politicians and tycoons caused the collapse of the winery which once had a potential to become the leader in Serbian wine industry.